The following equipment / kit is for sale - items are all open to offers and you will need to consider how you are going to get it. Heavy items will need collection, and smaller items can be shipped / posted. All proceeds will be used to support this web site and add new receive facilities at the UHF-Satcom groundstations. More useful electronic surplus will be added as its discovered. If you would like something please make me an offer to pjm at uhf-satcom dot com or join our #hearsat IRC channel and haggle there!. 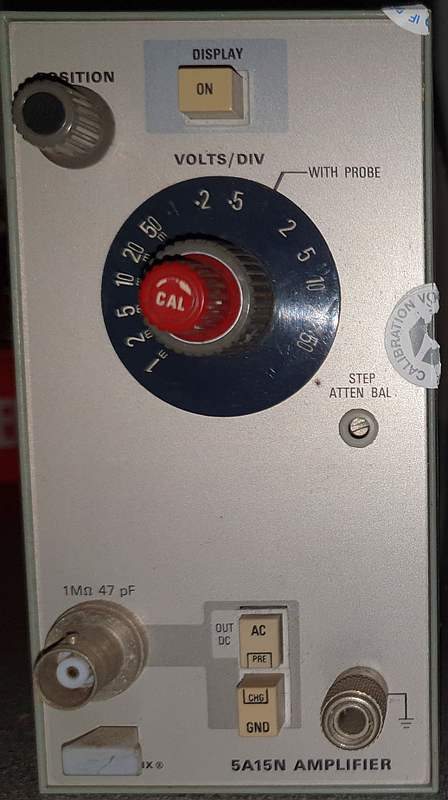 Eaton 7370 noise figure monitoring unit. I've upgraded my test kit and this is now surplus. IF input is 28/30MHz and it has usual 28V DC chopped output for noise source. 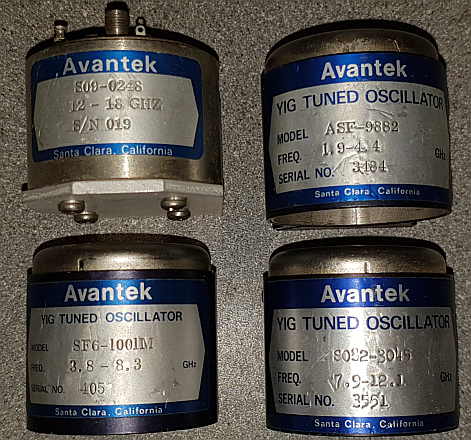 Avantek YIG oscillators removed from working microwave sweeper covering to 18GHz. ASF-9882 covers 1.4 to 4.4GHz, SF6-1001M covers 3.8 to 8.3GHz, SO82-3045 covers 7.9 to 12.1GHz and S09-0248 covers 12-18GHz. 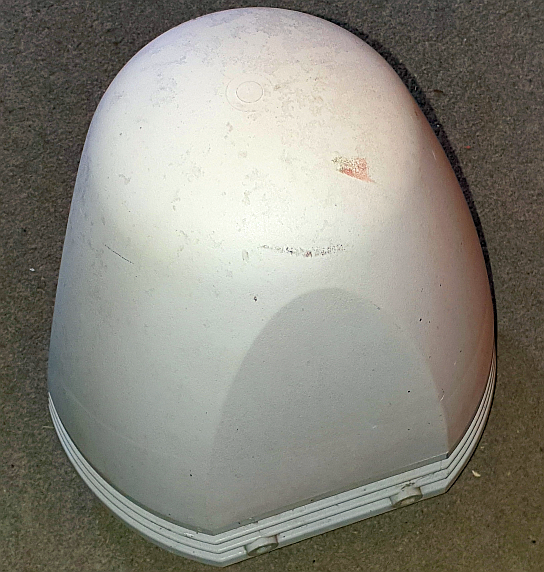 Inmarsat C transceive antenna - contains LNA / filtering stages and Class C 1.6GHz amplifier. Wavetek 5120A frequency synthesiser covering 0.1 to 160MHz in 0.1Hz steps, very nice local signal source or useful for driving a brick oscillator etc. 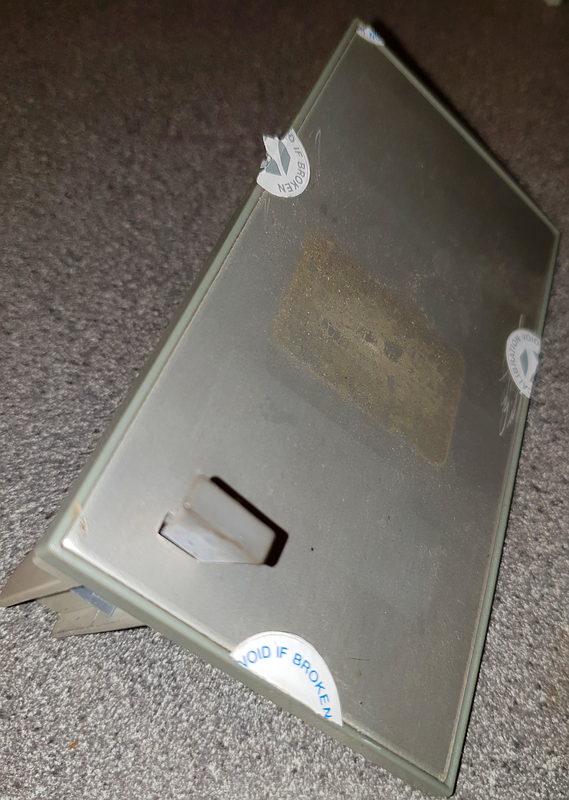 Requires a 10MHz input from a decant source (Rb or GPSDO etc), used in the shack recently until replaced with a Marconi 2.7GHz synth. 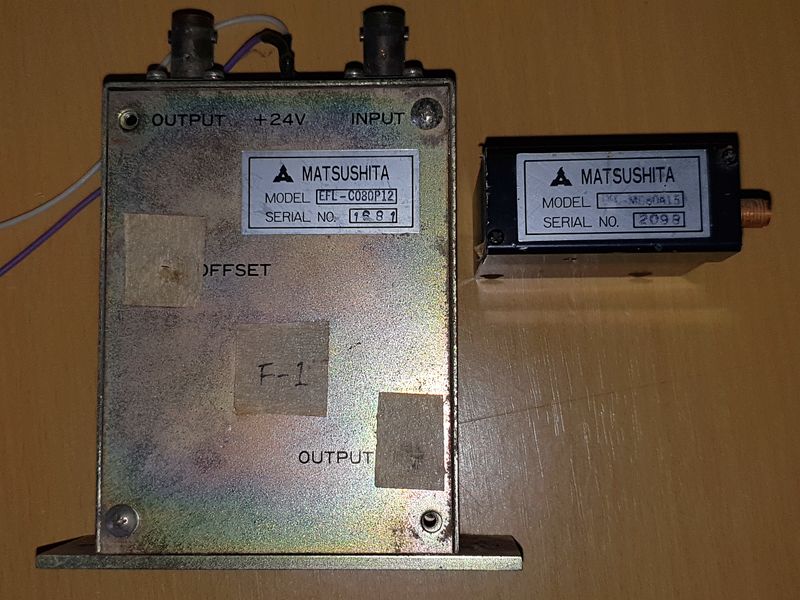 Matsushita modulator and Bragg cell (Acousto-optic modulator) similar to ISOmet. Offers around £50GBP per set. 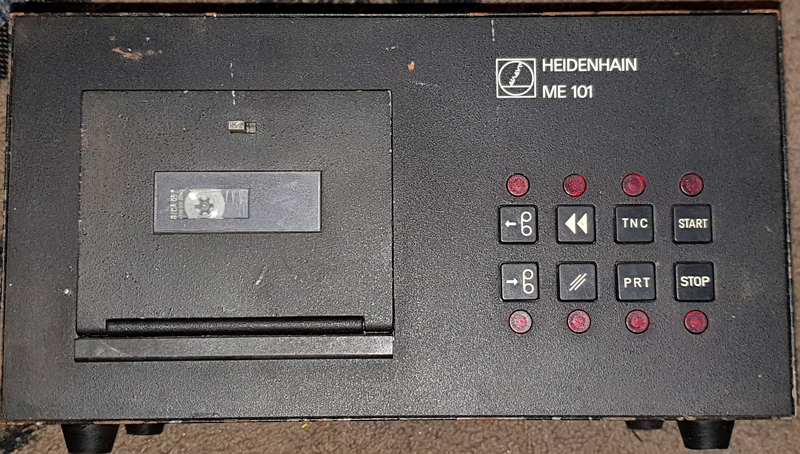 Heidenhain ME101 TNC data store originally used with TNC150/155 for program storage. Tektronix 5A15N amplifier module, removed from working Tek 5103N scope. 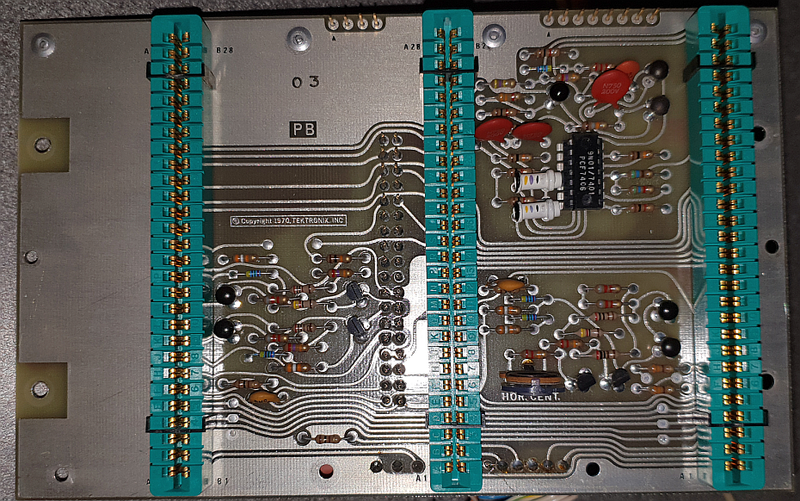 Tektronix 5B10N timebase, removed from working Tek 5103N scope. 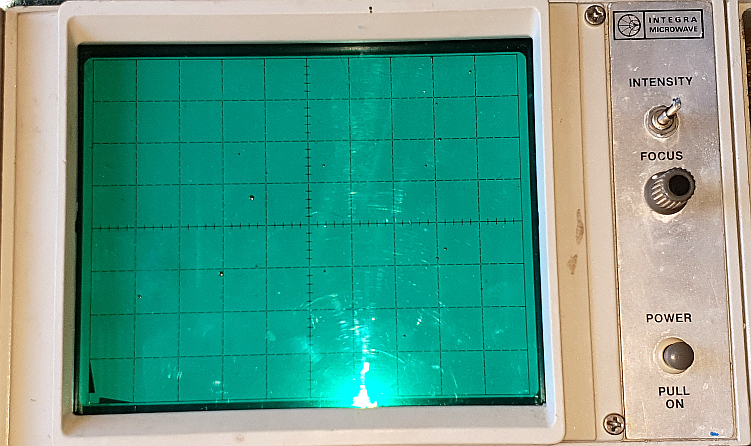 Tektronix blanking plate, removed from Tek 5103N scope. Tektronix rails, removed from Tek 5103N scope. 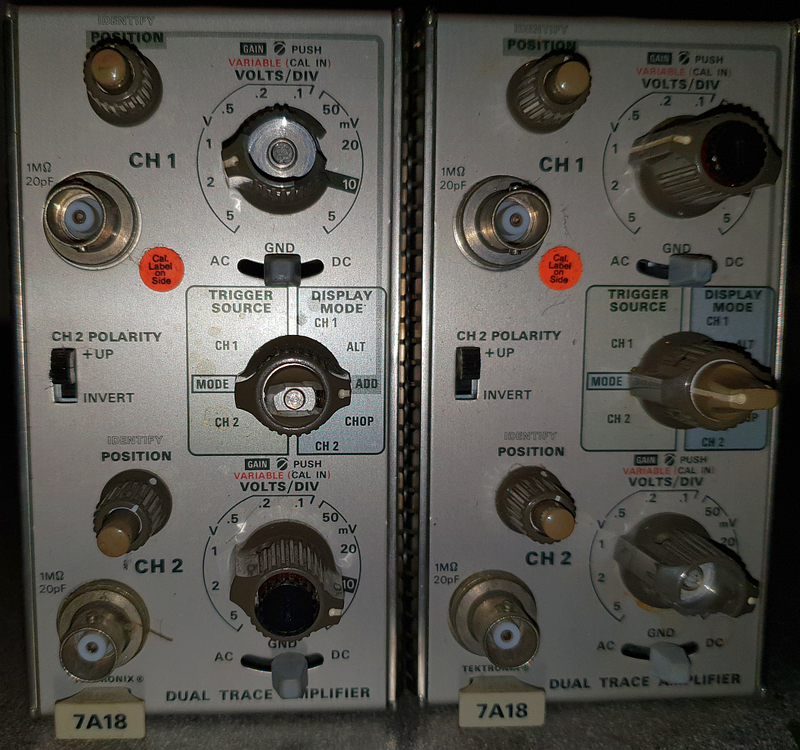 Tektronix 7A18 dual trace amplifiers, removed from working Tek 7313 scope. 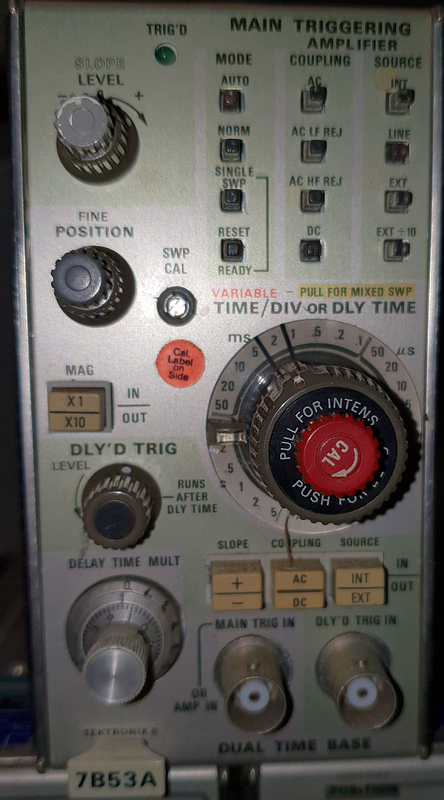 Some of the knobs are damaged. 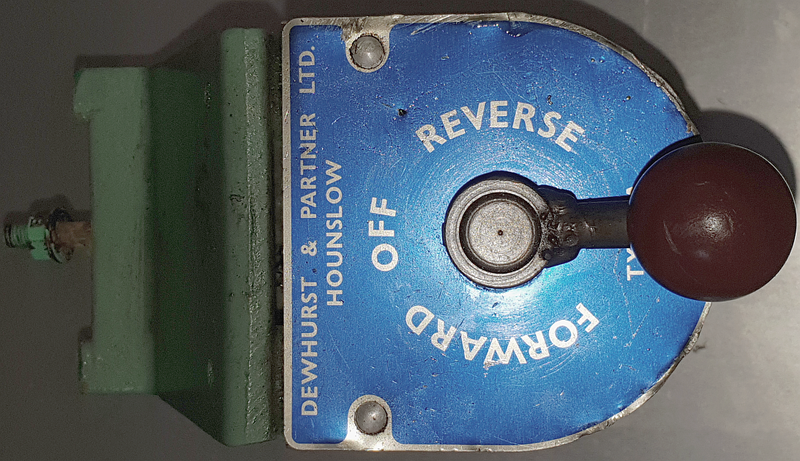 Tektronix 7B53A dual time base, removed from working Tek 7313 scope. 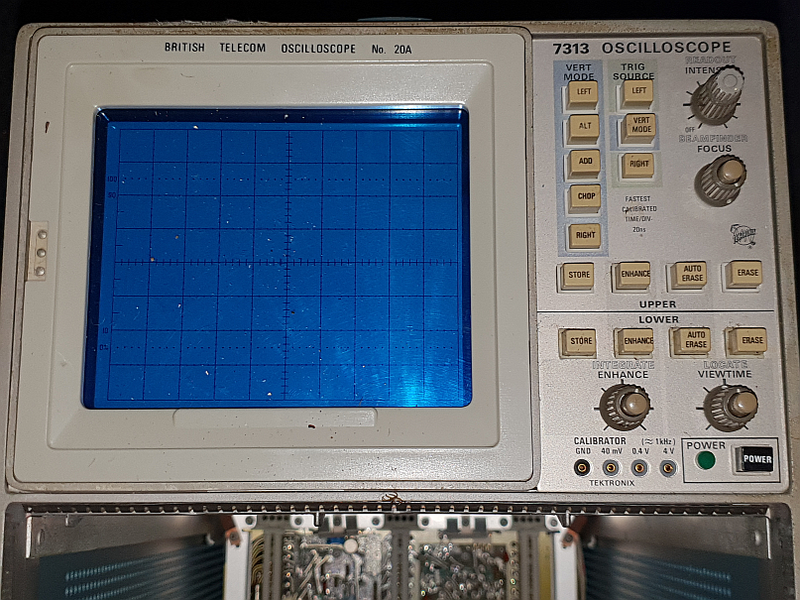 Tektronix 7313 scope misc parts, do you need a PSU, tube, backplane, EHT unit etc, let me know what you need. 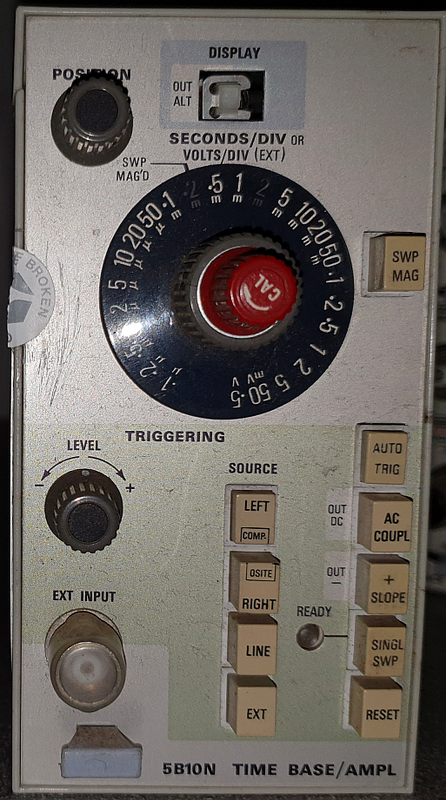 Tektronix 5110 scope mainframe parts, do you need a PSU, tube, partial EHT unit etc, let me know what you need. Tektronix 7103N plug in module blackplane and rear plug-in PCB. 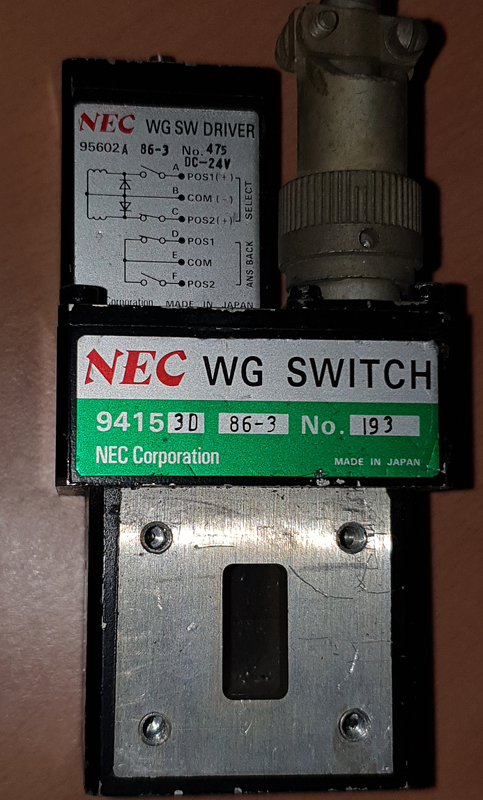 NEC waveguide switch WR75/WG17 24V DC with answer back switches. 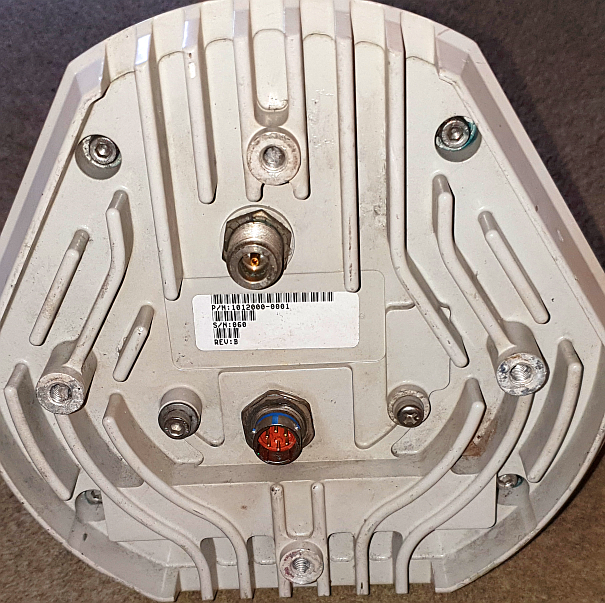 Robbins-Myers servo motor with tacho model number 0644-31-01 - two available.